Mr. Ryan Heckman grew up in rural Colorado and his childhood near a ski area led him to become the youngest member of the 1992 U.S. Olympic Team. After a successful athletic career that included two Olympic Teams and four world championships, he graduated with honors from the University of Colorado. Ryan has 20 years of private equity investing and operating experience. As as co-founder of Excellere Partners in 2006, Ryan co-managed a top-decile performing lower middle market private equity fund with approximately $730 million of capital under management. Prior to Excellere, Ryan was a principal of KRG Capital Partners and Boothcreek Management Company. After his career as an investor, Ryan became President and ultimately the CEO of EVP EyeCare, a Denver-based healthcare company. With his leadership, the company grew 20-fold while building best-in-class facilities, medical team and culture through a multi-state expansion strategy. Today, EVP EyeCare is one of the largest providers of surgical eye care in the United States. Active in his community, Ryan also co-founded the Colorado Impact Fund, a Denver-based venture capital fund dedicated to supporting emerging Colorado companies, served on the investment committee for the Colorado Health Foundation and currently serves as chairman of Quarterly Forum, a community leadership development organization and director for the University of Denver’s Barton Institute for Philanthropy and Social Enterprise. Ryan is also a member of Colorado Concern, a bipartisan alliance of approximately 100 CEO’s who are active in strengthening public policy decisions in Colorado. Ryan and his wife, Katie, live in Denver, Colorado with two young children. Jennifer Connelly is Chief of Staff to Mr. Ryan Heckman and works across his portfolio of companies. At CiviCO, formerly Quarterly Forum, Jennifer serves as a liaison as between staff, executives, senior leaders, and the Chairman regarding company culture, climate, employee well-being, project updates, and HR administration as well as, curating and administering the Mentorship Program at CiviCO. Jennifer joined Ryan Heckman in July 2017 as he was serving as CEO of EVP Eyecare. Prior to her employment with Ryan Heckman she was a private wealth manager at Continuum Partners. She is currently attending the University of Denver and pursing a master’s degree in Human Capital in Organizations. Jennifer and her husband Dan live in Denver with their two Pomeranians Mr. Stinky and Zora. Art is best characterized as an investor and advisor to social entrepreneurs seeking to address societies most pressing issues at scale, whether through impact investing or venture philanthropy. Art is currently a Venture Partner with Draper Richards Kaplan and an Executive in Residence with the New Profit Foundation where he assists both organizations in working with their high potential entrepreneurs. He also works as a Senior Advisor to Revelry Brands and Harbinger Ventures, both investment firms focused on providing growth-state private equity to unique innovative business in the natural foods and consumer products categories, and in the case with Harbinger Ventures, with female founders or CEOS. Art also serves as a mentor with several accelerators including Praxis and Techstars. Most recently Art and his wife Lindsay relocated to Denver CO so that Art could join Mike Johnston’s campaign for Governor as a Senior Advisor and he remains an advisor to Mike. Previously Art was a Senior Fellow at Harvard’s Advance Leadership Initiative with his work focused on ways to improve the support of high impact social entrepreneurs. In addition, he is an advisor to a number of startup ventures. After earning an MBA with honors at the Harvard Business School, Art began his career with Goldman, Sach’s & Co., retiring after more than 20 years as a Partner in 2001. During his tenure with Goldman he worked in the then nascent Mergers and Acquisition practice, co-managed the London Advisory Group and co-headed the Global Healthcare department while working in both New York and London. Art’s particular passion is in the area of human rights especially addressing injustices and violence against the poor, working with opportunity youth, women’s empowerment and education reform. He has worked closely with the CEOs of organizations such as International Justice Mission, Outward Bound, and ConnCAN. Art is currently a Trustee with the Nature Conservancy of Colorado. He is an Adjunct Instructor at Miami University and has been an entrepreneur in residence at Harvard’s iLab. Art lives in Denver with his wife Lindsay. In his spare time he enjoys skiing, golf, cycling, backpacking, anything adventuresome, and adventuring with his 5 grandchildren. Barclay is an investor and entrepreneur. He’s currently the Managing Principal of Claylor Capital, a family office focused on private equity and real estate. He’s also a partner in The Miller Family Partnership, which invests in global marketable securities, private equity and real estate. He launched Claylor Capital in 2016 to reengage his passion with entrepreneurs and real estate. Most recently he founded Baby Fresh Organics in 2017, now Fresh Start, a direct to consumer prepared meal service for young children inspired by his twins. He served as CEO until merging with SupperBell, a Denver based DTC meal service with chef/restaurateur Frank Bonanno and now serves as Chairman of the SupperBell board. He’s invested in other Bonanno Concepts with Milk Market and prior partnered with Collaboration Realty, based in NYC, to build Multi-Family developments in the Tri-State area. He continues to seek investments in a variety of sectors with founder/family run businesses for growth capital or buyout investment. Barclay previously lived in Vail, CO. While working for Vail Resorts during the day and moonlighting his entrepreneur spirit. He created a production company that brought live concerts with artists like “Black Eyed Peas” and “Snoop Dog” to the Vail Valley. Barclay was born in Connecticut and raised in New England with a passion for competitive skiing and sailing. He moved to Colorado in 1996 to continue his passion for skiing and study business management and psychology at the University of Denver. Barclay recently completed the inaugural class of McKinsey Academy @ QF. He holds the position of the Executive Director with The Donald K. Miller Family Foundation and serves as the VP of Children’s Hospital Colorado Foundation 2221 Society Board. Barclay and his wife Randi live in Greenwood Village with their young twins Barclay and Sailor. He’s a bit of a thrill seeker, enjoys skiing, travel, woodworking and DIY projects around the home as well as spending time with family. David S. Chernow has served as the Company’s President and Chief Executive Officer since January 2014. He served as the Company’s President since December 2010. He held the additional titles of Chief Administrative Officer from March 2012 to August 2013, Chief Development and Strategy Officer from January 2011 to March 2012, and Chief Strategy Officer from September 2010 to December 2010. He previously served on the Company’s Board of Directors from August 2005 to September 2010. From May 2007 to February 2010, Mr. Chernow served as the President and Chief Executive Officer of Oncure Medical Corp., a national network of cancer treatment centers. From 2001 to 2007, he was President and Chief Executive Officer of JA Worldwide (formerly known as Junior Achievement). From 1999 to 2001, he was the President of the Physician Services Group at US Oncology, Inc. Mr. Chernow co-founded American Oncology Resources in 1992 and served as its Chief Development Officer until the time of the merger with Physician Reliance Network, Inc., which created US Oncology, Inc. in 1999. David grew up in Los Angeles, where he attended University High School, UCLA (1975- 1979) and Pepperdine Law School (1979-1982). While at UCLA, David was a member of the UCLA Tennis Team. David has been married for 32 years to his wife, Libby and has two adult twin children, Natalie and Zach (27). David still enjoys playing tennis, golf, basketball and enjoys traveling with his family. 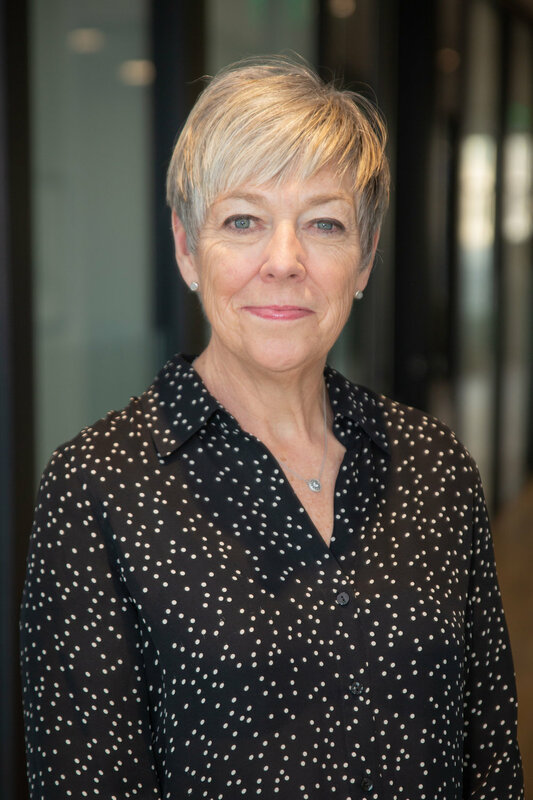 Nancy serves as the executive chair of the board of Flexential, which was born of the combination of IT infrastructure powerhouses Peak 10 and ViaWest to create a leading provider of data center solutions spanning colocation, connectivity, cloud, managed solutions and security services. The company, with more than 4,200 enterprise customers, owns and operates 41 data centers and 13 cloud nodes in 21 markets. Nancy is a 30-year veteran of the telecommunications and IT infrastructure industry. She has spent her entire career building and growing service-focused organizations demonstrating the power of people in a technical world. A longtime leader in Denver’s tech industry, she co-founded ViaWest in 1999 and served as its President & CEO, successfully scaling the company to become one of the largest colocation and cloud providers in the industry until its $1.675 billion acquisition by GI Partners in 2017. Nancy played an integral role in orchestrating the company’s combination with Peak 10 and subsequent rebrand to Flexential. Previously, Nancy served as president of Shaw Business Infrastructure Services, a division of Shaw Communications (NYSE:SJR). Nancy held founder and executive leadership positions with numerous technology companies, including TSC, ConferTech International, ITC, RMI.net and Intrepid Communications, where she enabled significant growth while maintaining a deep customer-centric focus. She has raised over $1.1B in equity during her career and consistently provided strong returns to her shareholders. Nancy is a passionate supporter of the Colorado entrepreneurial community as well as furthering the participation and advancement of women in computer science. She serves on the boards of the National Center for Women and Information Technology, where she is chair; Blackstone Entrepreneurs Network; National Cybersecurity Center; Startup Colorado; FoodMaven and the University of Denver, where she serves on the Board of Trustees. She has also been honored by the technology industry and her peers with numerous awards, including the Bob Newman Lifetime Achievement and Technology Business Woman of the Year awards, as well as the Forum for Women Entrepreneurs (FWE) annual capital raise award. Nancy has received numerous accolades for her visionary leadership and, in 2016, was honored with the inaugural Colorado Governor’s Citizenship medal for Growth and Innovation, which recognized her as an entrepreneur with exceptional ingenuity who seeks to inspire and create new possibilities for others. She also was selected as the 2016 EY Entrepreneur of the Year in Technology Services for the Mountain Desert Region. Nancy has also been recognized in the global technology community when she received the Canadian Governor General’s Medallion in recognition of her distinguished track record building technology businesses. Nancy embraces the best of Colorado by spending time with family in the mountains skiing, cycling and hiking. A native of Toronto, Nancy received a Bachelor of Arts degree from Queens University in Canada. Steve sits on the Board of Directors of ServiceMaster and also is Chairman of Ascensus Specialties, a specialty chemicals company. Steve is an Executive Advisor Partner of WindPoint Partners, a Chicago based private equity investment firm. He sits on the advisory board of the McKinsey Implementation practice of McKinsey and Company. Steve also serves as the program chair for the Quarterly Forum/McKinsey Academy Leadership Development Program and serves as a Vanguard Member of the Quarterly Forum. Steve previously served as the Chairman and CEO of Johns Manville and held senior level leadership positions with Ingersoll Rand and AlliedSignal/Honeywell. Steve also held leadership positions at United Technologies and Rockwell International, and has served on a number of private company boards. Steve and his wife Becky have been in Colorado for almost 20 years. Mark Hopkins is an author, entrepreneur, and founder of Crescendo Capital Partners. His book, Shortcut to Prosperity was published in January of 2013. Mr. Hopkins holds a BSME Cornell University and an MSMSE from Stanford University. He served in increasingly responsible engineering and business leadership positions at Hewlett Packard and Emerson Electric before founding PEAK Industries, a medical device contract manufacturing services company, in 1996. Over the course of 9 years, PEAK grew to over 300 employees and $75MM in sales. After the sale of PEAK to Delphi Medical in 2005, Mr. Hopkins co-founded Crescendo Capital Partners, a private equity firm making investments in businesses whose growth is accelerated by access to capital and the firms’ wealth of operating expertise. Mark serves on the Steering Committee for the Blackstone Entrepreneurs Network (BEN) as well on the board of directors of MicroTechnologies, Turbo Tenant, AMSR, The Boys and Girls Club of Metro Denver, and YPO Gold Rocky Mountain. Dr. Peter Hudson is a managing director at Alta Partners Venture Capital, and a physician and entrepreneur with over 15 years of experience founding, growing, and investing in both healthcare technology and services and digital health. Dr. Hudson’s focus has been on creating efficiencies within the healthcare delivery system and empowering healthcare consumers with novel technology. Previously he was a serial entrepreneur with multiple exits (to both public and private companies), a healthcare investment banker with both sell-side and buy-side experience in information technology and healthcare services, and has worked in senior executive roles in both large payer and provider organizations. He is a board member of U.S. Acute Care Solutions, and is on the board of directors for publicly traded Tivity Health (TVTY), private-equity backed Maestro Health, and mobile acute care provider DispatchHealth. His individual investments include companies like Aspire Health, Augmedix, Encoded Genomics, Sienna Bio, and Evolve Biosystems, along with others within the Alta portfolio. Annie Croner has over 16 years experience as an executive assistant, with nearly 8 years providing high level assistance to C-suite executives. Annie’s has worked for boutique companies across multiple industries including accounting, advertising, non-profit, and private wealth management. As a result of working for smaller companies and executives, Annie has developed expertise in many aspects of business, including bookkeeping, basic accounting, CRM implementation, policy development and implementation, and home management. Annie currently works for Alta Partners, a leading healthcare venture capital firm, where she’s an executive assistant and strategic partner to Pete Hudson, M.D., one of the firm’s three managing directors. Annie manages significant complexity with both professional and personal requirements; ensuring that his life runs as smoothly as possible. In addition to the work she does with Pete, Annie is passionate about supporting other executive assistants and administrative professionals. She recently launched WholeAssistant.com, a website designed to empower assistants in their careers as they navigate the unique and often challenging aspects of their roles. Annie studied theatre design (lighting) and art history at The University of Iowa, where she learned to effectively work with a variety of personality types. A skill that serves her well to this day. Senior Advisor | CoorsTek, Inc.
Mr. Franson has served software and technology-enabled services businesses with a broad array of strategic financial advisory services over his 39-year career, including capital formation and merger and acquisition advisory services. Mr. Franson has completed 100 transactions over the course of his career representing in excess of $4.0 billion in transaction value. Mr. Franson was a co-founder of St. Charles Capital (“SCC”), a leading M&A boutique headquartered in Denver. Mr. Franson served as SCC’s President from 2007 to 2014, growing the firm to 25 investment bankers while being the firm’s leading producer. SCC was acquired by KPMG in 2014, and, Mr. Franson served as the Global Head of KPMG’s Technology, Media and Telecom group until his retirement in 2016, leading a dedicated team of 200 investment bankers focusing on middle-market M&A in over 80 countries. Mr. Franson also led SCC’s and its predecessor’s merchant banking efforts that included growth equity investments, buyouts and recapitalizations. The partners of SCC and its predecessor invested over $4.0 million in these transactions, which generated returns in excess of private equity market returns. Mr. Franson currently serves as a Senior Advisor to CoorsTek, Inc., the global leader in advanced industrial ceramics, and also serves on the board of directors of a publicly traded company in the building materials industry. Mr. Franson has previously served on numerous other for-profit boards, including boards of three public companies. 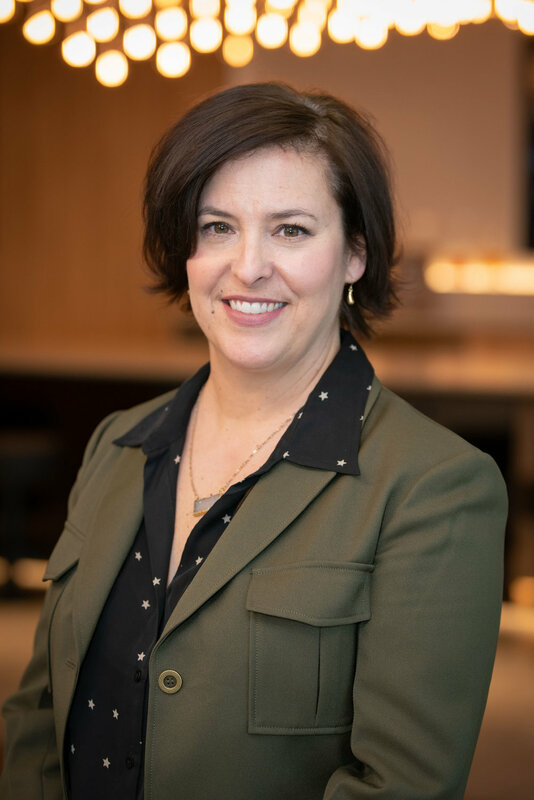 Stephanie Copeland, joined the Governance Project and became a managing partner of Fourpoints Funding on January 1, 2019 after serving on Governor John Hickenlooper’s cabinet as the Executive Director for the Colorado Office of Economic Development for 2 years. 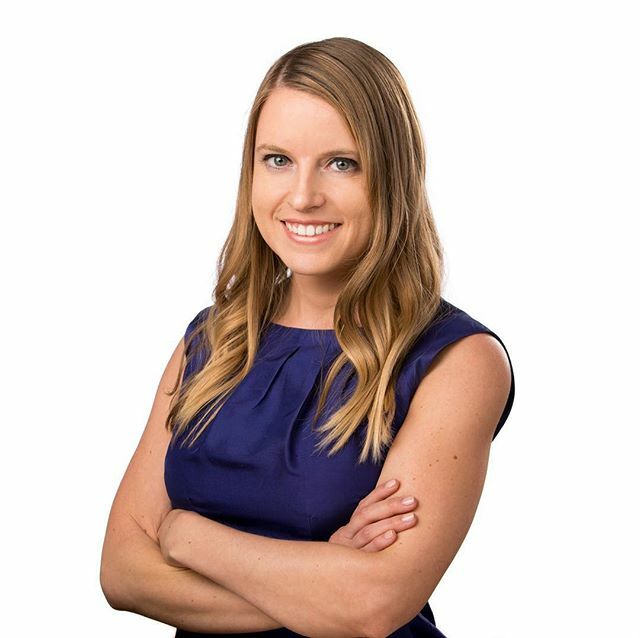 While at the Office Economic Development, Stephanie initiated and implemented several programs including Startup Colorado, the formation of the Greater Colorado Venture Fund, the Opportunity Zone program for the state and the Governor’s Council for the advancement and acceleration of Blockchain technology. Before this appointment, Stephanie spent over 26 years in the telecommunication industry both in the US and Europe. Her last role was as President of the Zayo Group, a communications infrastructure services firm. Ms. Copeland served as a director for the Colorado Broadband Deployment Board, The Business Experiential Learning Commission, the Governor’s Blockchain Council and the Colorado Workforce Development Council. A Blackstone Entrepreneur, she also serves as an advisor to early stage companies in Colorado. Eric Hopfenbeck is the Executive Director of CiviCO, formerly Quarterly Forum (QF). Eric manages strategic oversight of the organization, day-to-day operations, and represents CiviCO across Colorado. He joined QF in 2017 as Program Director, managing the Colorado Governors Fellowship Program, the McKinsey Academy @ QF Fellowship program, and supporting the Social Enterprise Fellowship at the Barton Institute for Philanthropy & Social Enterprise at the University of Denver. Eric joined QF from the National Cybersecurity Center (NCC) based in Colorado Springs, where he served as Chief of Staff. Eric supported organizational stand-up activities, conducted community outreach presentations, aided in strategic planning, and established early administration of the organization. Eric began his work at the NCC in April 2016 after completing a Fellowship as a Program Associate (Fellow) at El Pomar Foundation. Eric was raised in Lakewood, Colorado and is a graduate of the University of Puget Sound in Tacoma with a degree in Economics. Katie Alger is the Director of Events and Member Affairs for CiviCO, formerly Quarterly Forum. Katie oversees the operations and logistics of CiviCO’s members and fellowship experiences. She joined CiviCO in February of 2018 and has since curated experiences for the Colorado Governors Fellowship Program, the McKinsey Academy @ QF Fellowship program, and the Colorado Governor Citizenship Medals event that honors citizens or organizations of the state of Colorado for their leadership contributions to the state. Katie joined CiviCO from the Halcyon hotel in Cherry Creek where she was the Catering Sales Manager. Prior to her employment at Halcyon, Katie was the Director of Meetings and Events for Kroenke Sports and Entertainment. There, she oversaw over 250 events a year for the Denver Nuggets, Colorado Avalanche, Colorado Mammoth, Colorado Rapids, and concert VIP parties for Pepsi Center and Paramount Theatre. Katie was born in Chicago, IL but moved to Highlands Ranch, CO with her family when she was young. She attended the University of Colorado, Boulder and received a bachelor’s degree in Business Administration and a minor in Philosophy. Steve Reinemund is former Chairman and CEO of PepsiCo (2001-2006) and former Dean of the Wake Forest School of Business (2008-2014). During his tenure as CEO of PepsiCo, revenue grew 30 percent, net income rose 70 percent, and PepsiCo’s market cap exceeded $100 billion for the first time. He was twice named to Barron’s “World’s Most Respected CEO List” and was named to Businessweek’s Top 25 “Managers of the Year” in 2002 and 2005. Steve left a legacy marked by a strong management team, a commitment to health and wellness, diversity and inclusion, and values-based leadership. Steve joined PepsiCo in the Pizza Hut division in 1984 and served as CEO until 1992 when he became CEO of Frito Lay. He served in that role until 1999 when he was appointed President and COO of PepsiCo. Steve retired as Chairman of the Board in 2007. Steve is currently a member of the Board of Directors of ExxonMobil, Marriott, Walmart, Goldman Sachs (GS) Acquisition Holdings Corp, and Chick-fil-A. He has also served as a member of the Board of Directors of American Express (2007-2015) and Johnson & Johnson (2003-2008). Steve also serves on the Board of Directors at the United States Naval Academy Foundation, Wake Forest University Board of Trustees, and the board of governors at The Center for Creative Leadership. He has also served as Chairman of the National Salvation Army Advisory Board and Chairman of the Board of Corporate Advisors of the National Council of La Raza (now UnidosUS). Steve graduated from the United States Naval Academy in 1970 and served five years as an officer in the United States Marine Corps. He earned an MBA from the University of Virginia and has been awarded honorary doctorate degrees from Johnson and Wales University and Bryant University. Steve and his wife, Gail, have been married for 44 years and have four children and four granddaughters. Jonathan is a proven business executive with broad operational experience, including leading teams in strategy, sales & marketing, business development, and innovation. Prior to forming Highline Group, Jonathan began his career in management consulting with The Boston Consulting Group (BCG). At BCG, Jonathan worked in a variety of industries, including helping an industrial goods clients to improve manufacturing processes, partnering with a financial institution to reorganize and consolidate business units, and teaming with a hospitality firm on the acquisition of a travel services website. Seeking to own a bigger piece of the execution of strategic projects, Jonathan joined The Clorox Company where he built and managed brands (Green Works natural cleaning products and the flagship Clorox Bleach brand), launched new products into retail, and developed a foundational marketing skill set. Attracted to the promise of sunshine and more frequent skiing adventures, Jonathan moved to Colorado to manage and grow a premium cheese brand for the largest mozzarella manufacturer in the world, Leprino Foods, leading the team that grew the business by more than four times. At Leprino, Jonathan also added significant sales experience, directly selling cheese to pizzeria chains as well as hiring and managing a sales team which grew both volume and profitability for the company. Jonathan then joined the fast-growing consumer internet company, Craftsy (rebranded ‘Bluprint’ following the acquisition by NBCUniversal). At Bluprint, Jonathan led New Business initiatives, launching a new product line that was cash flow positive in under 6 months, developing and growing partnerships that added six figure profits to the bottom line, and leading the e-Commerce team in the introduction of new categories and products. Jonathan graduated Phi Beta Kappa with a BA and an MBA from Stanford University. Jonathan and his wife, Kate, live in Denver with their two young daughters. With a handful of half marathons and one important full marathon under his belt, Jonathan can be found most mornings on the High Line Canal Trail, running with his ever-energetic dog, Spruce. Jennifer is a former small business owner, marketer and public relations professional. Having run her own business for more than 16 years, she brings hands-on business administration skills and experience to Highline Group. Jennifer co-founded Philosophy Communication in 2001 and led, managed and directed the award-winning boutique marketing and public relations firm to be one of the top firms in Colorado. With a focus on consumer marketing campaigns, she guided and developed creative communication initiatives for her firm’s most notable clients, including Colorado Proud, the Colorado Department of Agriculture, the Town of Frisco, Natural Grocers, T.G.I. Friday’s, Smashburger, Quiznos, Caribou Coffee, Nautilus Health and Fitness, Denver Public Schools and Denver Center Attractions. Her work has won multiple awards and top honors from her peers and the public relations industry. Prior to starting Philosophy Communication, she was director of public relations for eCollege, a dotcom start-up that built eLearning platforms for post-secondary institutions. She began her career working for several Denver-area public relations firms, honing her consumer marketing and communication skills. She graduated from the University of Kansas with a degree in journalism and an emphasis in business communication. Jennifer is married with two boys, Bruno and Rocco. As the Founder and Managing Partner of Merrymaker Capital, a Colorado-based private equity firm focused on the lower-middle market, Travis Conway brings capital, talent, strategy and sophistication to management teams of privately-owned companies. Travis and his team of operationally focused advisors and executives invest capital and resources in middle-market companies within the industrials, business services and consumer industries. As a trusted advisor and capital source, Travis has helped the shareholders and stakeholders of over 100 privately-held companies build and realize nearly $1.0 billion in value through acquisitions, divestitures, capitalizations, and exits. Prior to forming Merrymaker Capital in 2018, Travis served as President and Managing Director of SDR Ventures, a boutique investment bank for private middle-market companies. Under his leadership, SDR grew from a team of three in 2005 to become the largest single-office, independently-owned investment bank in the Rocky Mountain region. To address capital inefficiencies in the middle-market, Travis co-founded Coulton Creek Capital, a private debt and equity investment firm. Filling the void between traditional senior lenders and equity investors, Coulton Creek’s mezzanine capital provided private businesses with flexible, patient capital. Travis began his career at Navigant Consulting, and later Ernst & Young, providing litigation and dispute financial advisory services. Much of his early work revolved around M&A transactional disputes and breach of contract disputes, including many Winstar cases in the United States Supreme Court related to the savings and loan crisis of the 1980s and purchase price disputes for mortgage-backed securities. Named as a “40 under 40 Emerging Leader” by M&A Advisor and selected as a “GenXYZ Top Young Professional” by CoBiz Magazine, Travis has proven to be one of the top young talents in Colorado. His transactional work has earned numerous awards at the national level ranging from “Consumer Deal of the Year for the Americas” to “Best Sell & Buy-Side Advisory – USA”. Travis serves on the Board of Directors for InBank, a 100-year-old regional bank serving Colorado and New Mexico. He is active within the Denver Institute for Faith & Work and a member of the Rocky Mountain Chapter of the Young Presidents’ Organization (“YPO”). After graduating Valedictorian of Littleton High School, Travis earned a B.S. in Business Administration with a Finance and an Economics double major from Trinity University in San Antonio, TX. Travis attended Trinity University on a President’s Scholarship; played on the varsity baseball team; and managed a portion of the University’s endowment as a select member of the Student Managed Fund. Travis lives in Highlands Ranch with his wife and three kids. In his free time, Travis enjoys coaching or cheering from the sidelines at youth sports and activities; serving in his church and community; cycling over mountain passes and gravel roads; skiing; camping; fishing; and reading.